Being the leading names in industry we are involved in manufacturing and supplying a wide array of RCC Products. We offer these in various designs as per the requirements of our clients. Additionally, we also assure safe and timely delivery of our products. 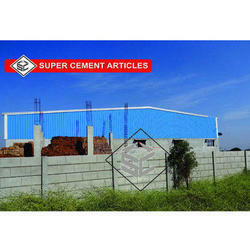 We manufacture compound walls which are done using natural stones to making RCC Concrete Precast Wall. These compound walls are available in different sizes and are used as in place of conventional bricks or stones used in the construction of houses and buildings. 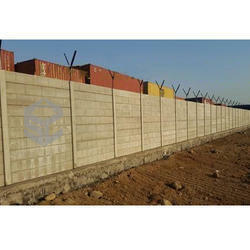 We manufacture compound walls which are done using natural stones to making RCC Folding Precast Wall. These Compound Wall are available in different sizes and are used as in place of conventional bricks or stones used in construction of houses and buildings. 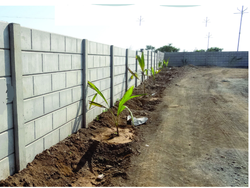 We manufacture compound walls which are done using natural stones to making RCC Folding Wall. These compound walls are available in different sizes and are used as in place of conventional bricks or stones used in the construction of houses and buildings. Keeping in mind the diverse requirements of our clients we are involved in offering a wide range of RCC Bench. These have fine finishing and are extensively used in gardens and farm houses, schools, hospitals, colleges and many more places. Our products are manufactured using fine quality material and latest technology. Moreover, we assure our clients to deliver these products in given period of time. 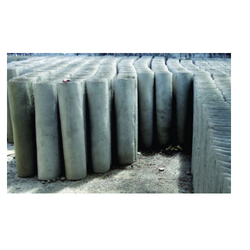 We manufacture compound walls which are done using natural stones to making RCC Boundary Stone. These compound walls are available in different sizes and are used as in place of conventional bricks or stones used in construction of houses and buildings. Leveraging on our vast knowledge of this realm, we are betrothed in presenting an optimal quality series of RCC Ring. To furnish the diverse requirements of our clients we are involved in offering a wide range of RCC Half Round Pipe. 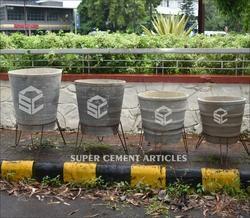 These are extensively used in drainage systems and cable covers. These are manufactured using supreme quality material which is sourced from the tested vendor of the industry. Additionally, these can be availed at market leading prices. With vast experience and knowledge, we are involved in offering a premium quality range of RCC Concrete Folding Wall Boundary. These are highly reckoned among our clients due to their eye-catching looks and fine finishing. These are maintenance free and are available in different sizes. In addition to this, we offer our products at economical prices. 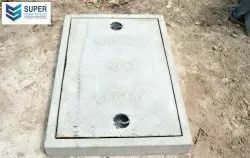 We specialize in manufacturing a qualitative range of RCC Concrete Chamber Cover. 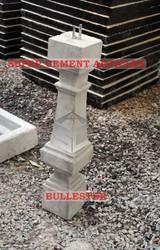 These are manufactured as per the client's specification and requirement. These products are successful in meeting the variegated needs of our customers and are widely demanded in the market. We specialize in manufacturing a qualitative range of Chamber Cover.These are available in square, rectangular and circular shapes. 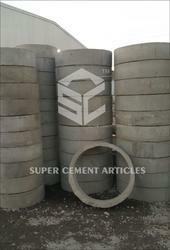 For the diverse requirements of our clients, we are involved in offering a wide assortment of RCC Divider. These are developed by a team of competent professionals by using the superior quality material as per industry set quality norms and guidelines. Offered products are well known due to their superior quality and high reliability. Additionally, these find applications in road sides and petrol pumps. We are enlisted as top company involved in offering a wide range of RCC Pot. 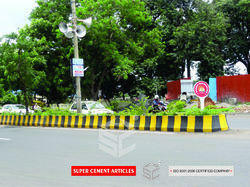 These are widely used in gardens, as well as in roads and dividers fro panting the trees. We offer these in different designs and sizes as per the requirements of our clients. These are produced using fine quality raw material which we procured from the reliable and trusted vendors of the market. We manufacture RCC Chamber Cover. These are provided with proper reinforcement and mild steel rims can also be provided to protect edges from damage. Available in square, rectangular and circular shapes in Light, Medium, Heavy & Extra Heavy Duty. Available in all standard sizes and also customized sizes can be manufactured on request. Covers are also manufactured with perforations or slots/gratings for stormwater drainage. 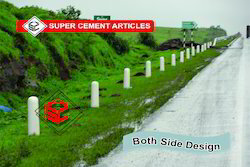 M- 30 and higher concrete grade mix is used. Test Load as per IS:12592 for Extra heavy duty is 35 MT, Heavy Duty is 20 MT, Medium duty is 10 MT and Light duty is 2.5 MT. Looking for RCC Products ?